Eckoh is a leading international provider of secure payment and customer contact technology. We specialise in assisting organisations to secure their card-not-present (CNP) transactions. CNP payments are made over the phone, web or mobile without face-to-face contact or verification. Each year we process over £800 million in card payments for clients in accordance with Payment Card Industry Data Security Standards (PCI DSS). As a PCI DSS Level One Compliant Service Provider, more organisations every year trust Eckoh to protect their contact centre and customers from payment card fraud and breaches. In addition to our payments products, we target contact centre organisations with our customer service solutions portfolio. These services enable organisations to manage their customer communications channels more efficiently. Our multi-channel products give customers the ability to self-serve, i.e. to make enquiries, retrieve information or make payments over the phone, web or mobile through automation. Removing routine customer enquiries from call centre agent/advisor interaction significantly reduces operational costs, streamlines contact centre processes and reduces inbound call queues. The main new strategy for this year is our establishment and acceleration of growth in the largest payments market in the world, the US. We believe that the opportunity for deploying our payment products has strengthened further as a result of recent adverse publicity in the market relating to data breaches. This has now fuelled a re-evaluation of card and data security processes that has coincided with us establishing a market presence, which leads us to believe that significant sales growth can be delivered over time. The relationship between the customer and your agent is the heart of customer experience — and the hub of this engagement is the contact centre agent desktop. Giving your agents the right tools to manage this relationship can save time, money and improve the customer experience. Social media response capabilities, centralised knowledge management and other tools can make a world of difference— and help you to keep pace with rising customer expectations. But, so often, legacy desktops can be difficult to adapt and need to be supported by lots of other applications open on the agent’s desktop. So how can you give your team what they really need? Coral Universal Agent Desktop provides the answer. You can't blame systems vendors from focusing on the sale of new licenses, new releases or upgrades. Many want to drive up revenue to recoup their investment in the latest generation of technology. Making platforms or applications end-of-life, removing support or asking for significant premiums is all part of their strategy. But your business goals and timeframes are different. It's likely you want to focus on maximising the return on investment in your systems. That way, you can use your budget for other areas, such as the explosion of investment in new customer channels such as social media. So who makes the rules on when systems are end of life... you or the vendor? With Eckoh, you can take back control. Eckoh operates in the US & UK. Eckoh's Board of Directors consists of technology leaders. Christopher Humphrey, BA, MBA and FCIMA, is currently a Non-Executive Director of AVEVA Group plc, SDL plc and The Vitec Group plc. Christopher was formerly Group Chief Executive Officer of Anite plc from 2008 until August 2015, having joined Anite in 2003 as Group Finance Director. He has held senior positions in finance at Conoco, Eurotherm International plc and Critchley Group plc. 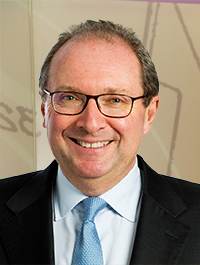 He was previously a non-executive director of Alterian plc between 2011 and 2012. Guy Millward has held a number of senior finance positions with both publicly listed and privately held technology companies. Guy joined the board in October 2016 and is currently CFO at Imagination Technologies Group plc, a leading multimedia, communications and technology company. His previous roles include; Group Finance Director at Morse Plc, Group Finance Director at Alterian Plc and more recently, CFO at Advanced Computer Software Group plc from 2013, until its sale to Vista Equity Partners in mid-2015. Guy qualified as a chartered accountant with EY in 1989. David is currently Chairman of Synectics plc, an AIM-quoted provider of high-end electronic security systems, and a Non-Executive Director, and Chairman of the audit committee, of SCISYS plc, a software company also quoted on AIM. 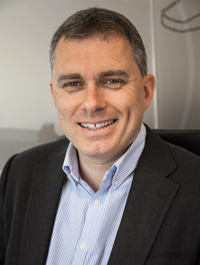 He is also Chairman of Quadrant Group Limited, a leading independent supplier of aviation simulation and training, with subsidiaries in the UK and USA. 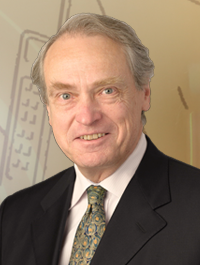 He has extensive experience with technology companies in the business-to-business field. David was previously a partner at Bain & Company, a leading strategy consulting firm. Nik is a founder of Eckoh and was appointed COO and Deputy CEO in September 2001, before being appointed CEO in September 2006. 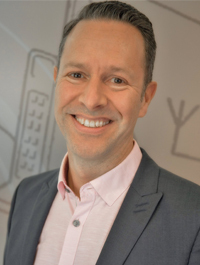 Nik has 30 years’ experience in the voice services industry; he was originally at British Telecom before establishing a number of start-up businesses in the telecoms and technology sectors. As CEO of Eckoh, he has created a leading provider of Secure Payment solutions and Customer Contact services for the contact centre industry. 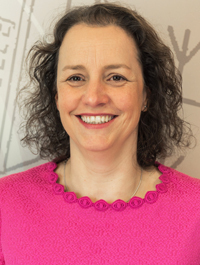 Chrissie joined the Board in May 2017 from her role as UK & Ireland Finance Director at PayPoint plc. She brings with her significant industry insight and experience from one of the leading global secure payment companies. In addition, having qualified as a Chartered Accountant at KPMG, Chrissie gained considerable executive experience at a number of high growth, consumer facing businesses including Collect+ and Travelodge Hotels Ltd.
As of 31st March 2018, the Company had been notified of the material interests shown in the chart below, representing 3% or more of its current issue share capital.